The pool area at The Shore is a great spot to relax after a long day of shopping or theme parks. 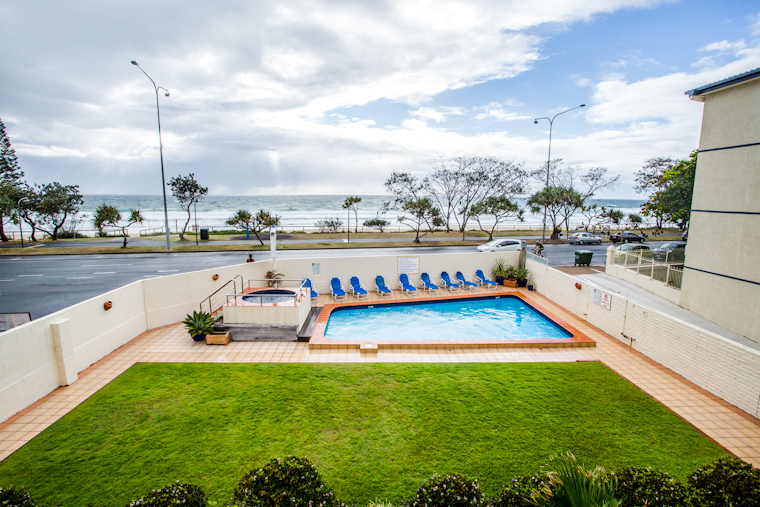 Not only do we have a heated pool (keeping you toasty in winter! ), but there’s also a BBQ and picnic table for our guests to use. A BBQ dinner is a great way to end a day – the pool is right there to entertain those not cooking, or you can relax on the sunlounges or on the grass.